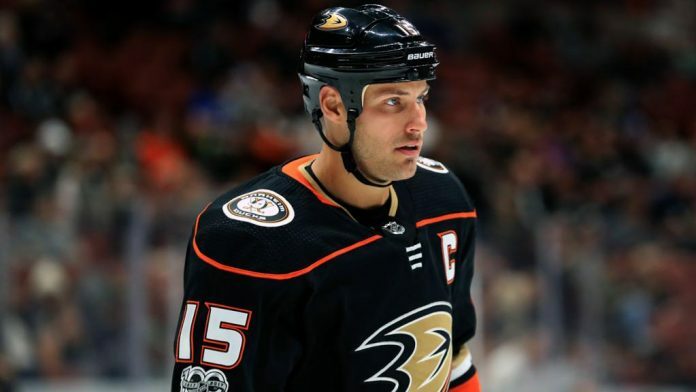 Will the Anaheim Ducks trade Ryan Getzlaf and build for the future? Would the Anaheim Ducks trade Ryan Getzlaf? TSN: After the firing of Randy Caryle, the next move for the Anaheim Ducks will likely be to trade some of their core player. Corey Perry, Ryan Getzlaf and Ryan Kesler have not been asked to waive their no-trade-clause yet. GM Bob Murray will likely have some tough decisions in the next two weeks. Getzlaf, also signed for two more seasons, is the Ducks leading scorer this season with 11 goals and 36 points in 50 games. He said recently he hopes to stay with the franchise moving forward. The Ducks have nine pending unrestricted free agents on their current 23-man roster including leading goal-scorer Jakob Silfverberg. Will the Boston Bruins trade for Artemi Panarin? Boston Globe: Will the Boston Bruins make a big move at the 2019 NHL trade deadline? The Bruins are very interested in Columbus Blue Jackets forward Artemi Panarin. The asking price is a first-round pick, a player, and a prospect. It is a high price, especially for someone who could leave a team empty-handed on July 1. Rumors are the Bruins are willing to pay the price to make a Stanley Cup run and give them a better shot of getting past the Tampa Bay Lightning and Toronto Maple Leafs. If a Panarin trade does not work out, the Bruins could add a physical winger like Carolina’s Micheal Ferland and Philadelphia’s Wayne Simmonds, both rentals who would command less than Panarin. The Rangers, a regular trading partner for Bruins GM Don Sweeney, could flip UFA-to-be Kevin Hayes, who could fill a center or wing spot for Boston; wingers Jimmy Vesey or Chris Kreider are also seemingly available.